The Weston Super Half will set off from Marine Parade at the entrance to The Grand Pier. It will take in the glorious sites of Weston-super-Mare and the surrounding picturesque Somerset villages and countryside in this single lap, closed road, fast half marathon event. And the pièce de résistance, a totally unique opportunity to finish quarter of a mile out to sea on Weston’s Grand Pier. Q. Where is the start/finish? A. The half marathon will set off from Marine Parade – the finish will be at the end of the Grand Pier. ​Q. How old must I be to enter? A. You must be 17 years or older on race day. Younger runners can take part in the Community Mile. Q. I have entered the race – how do I know my entry has been received? A. If you entered online, you will receive a confirmation email shortly afterwards. If you have not received a confirmation email, please contact us at aW5mbyB8IHJ1bmpveSAhIGNvICEgdWs=. ​Q. When do entries close? A. Entries close Monday 25th February. 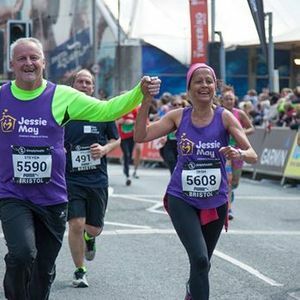 ​Find out more and enter the Weston Super Half Marathon here.